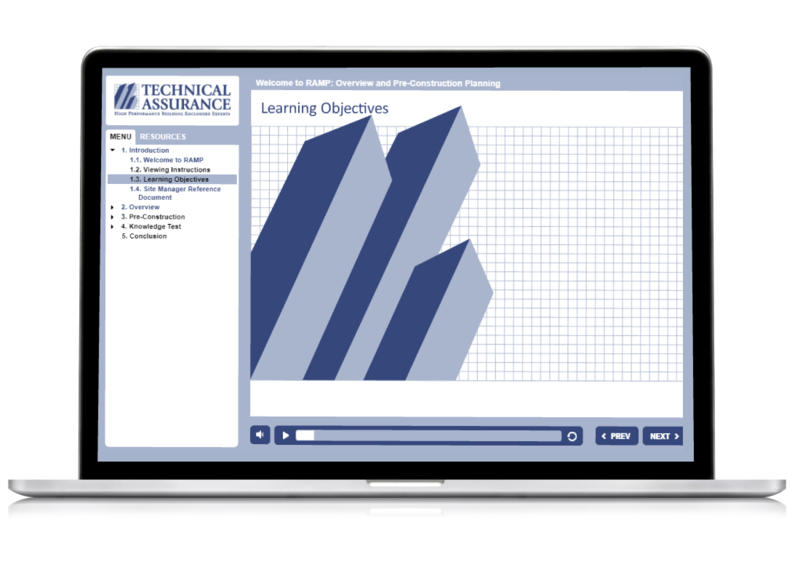 We scripted and developed on-boarding training for site managers for at Technical Assurance, a nationally-recognized building enclosure consulting firm, specializing in roofs, facades, and building system asset management. 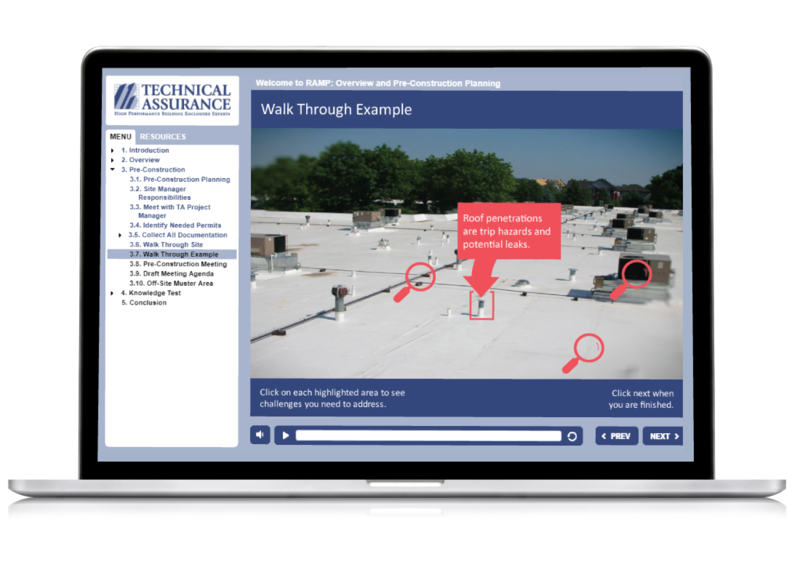 The SCORM compliant modules teach site managers of large scale roofing projects about their responsibilities. They contain interactive exercises, knowledge checks and tracking assessments, which report to their learning management system (LMS). 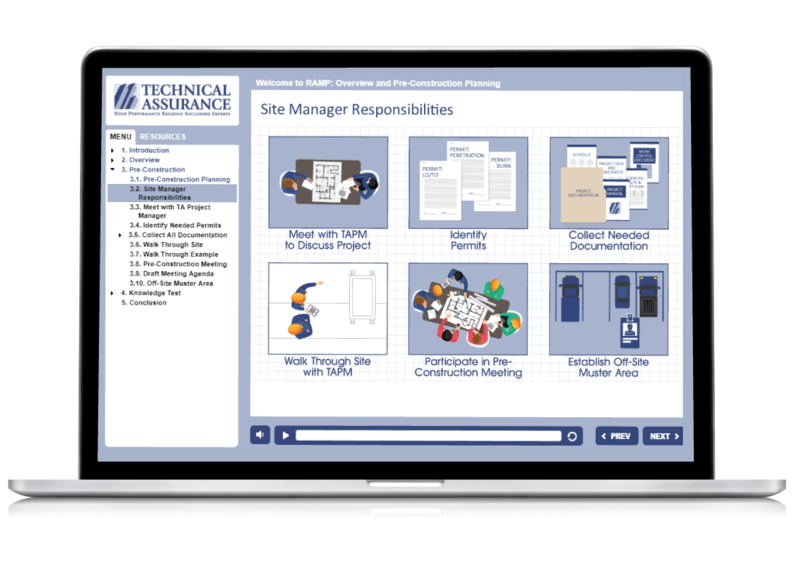 These modules aid in quality control and reduction of job-site incidences.